If you are keen to visit a place that has a glorious past and a busy present with great temples that flaunt the architectural brilliance of the artisans, you need to be in Madurai. The 2500 plus years old city, which has a rich heritage, is located on the banks of Vaigai river. Famously called ‘The city that never sleeps’, Madurai is always busy regardless of the time of the day. Anytime you venture out, you are sure to find the city busy and even if you are hungry in the middle of the night, you will find ‘idlis’, the famous south Indian dish served here. Incidentally, Madurai is famous for idlis too. If you are planning to visit Madurai, ensure that you include the following six famous places to visit in Madurai in your “list”. Famous for: Hinduism, Architecture, Parvati, Shiva. Tickets: Free and 100 INR for VIP darshan. Sree Meenakshi Amman Temple is one of the most famous temples in South India. The huge temple that extends beyond 6 hectares of land is dedicated to god Shiva and it is named after goddess Parvati. The temple was constructed by Kulasekara Pandya. The temple has been mentioned in the songs sung by ancient saint as early as the 7th century. Invasion of Malik Kapur in 1310 resulted in the ancient temple being destroyed. 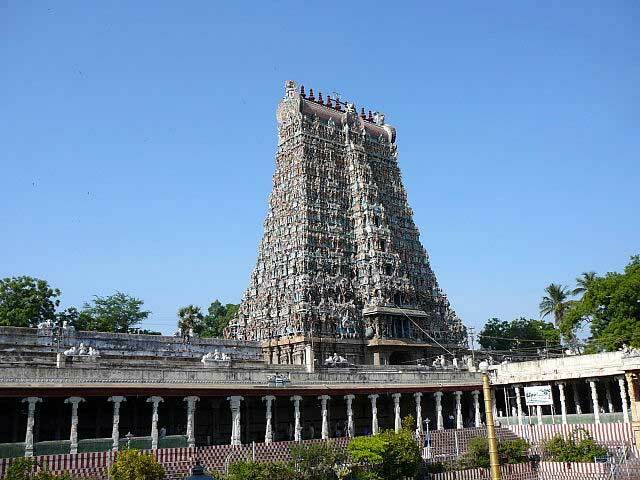 When Hindu kings returned to power, the temple was restored and the present form is a contribution by Nayaks who ruled Madurai between 16th and 18th centuries. The thousand pillar hall is one of the amazing works in the temple that is famous for architectural brilliance. It is the temple’s museum and the statues here are exquisite. Sacred temple tank (Porthamarai Kulam). Famous for: Hinduism, Architecture, Murugan. 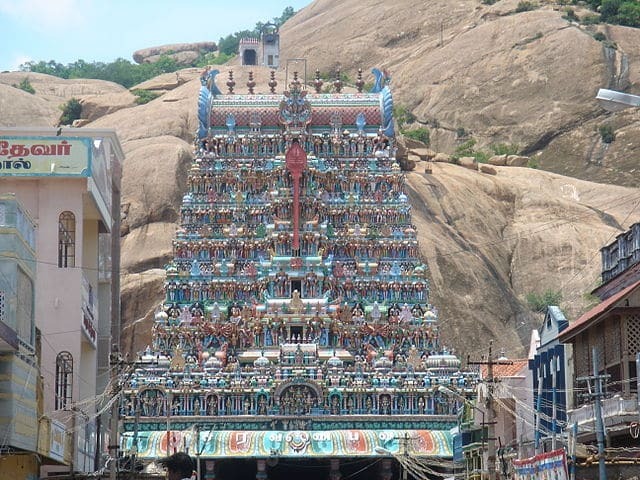 Thirupparankundram gains importance as it is one of the six places chosen by god Murugan as his abode. It is said that this was where Lord Murugan married Devasena. It is also considered as the place where sun and moon abide. This cave temple is dedicated to the element of earth among the five elements and various Tamil classical texts mention this hill as ‘Southern Himalaya’. It might interest you to learn that the hill not only houses Murugan temple but also an Islamic Shrine, which is dedicated to Sekunder. The architecture is amazing. Skanda Shashti festival during Oct-Nov. Famous for: History, Gandhi, Freedom struggle. Opening Timings: Open all days from 10AM–1PM & 2PM–5:45PM. Gandhiji and Madurai share a bond. It was after his visit to Madurai that Gandhi changed his dress code, which he followed until he met his end. 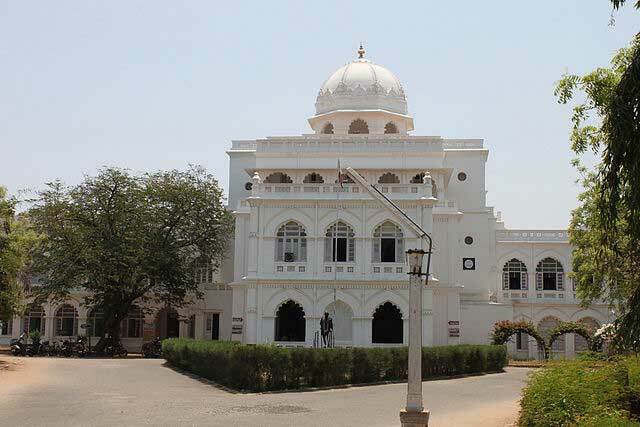 Gandhi Museum was constructed in memory of Gandhiji after his assassination. The building, which houses the museum, was constructed around 1670 AD by Nayak Queen Rani. The construction was completed and inaugurated in 1959. The museum houses a Picture Gallery, which presents Gandhiji’s visual biography. The history of Freedom struggle is depicted with 265 illustrations in the Special Exhibition section. The ‘Hall of Relics’ preserves some original and replicas of Gandhi’s personal belongings. Cultural programmes are conducted in the open air theatre here, which can accommodate 8000 people. The library in Gandhi Museum has a vast collection detailing India’s cultural background and books by Gandhiji. Famous for: Caves, Jainism, History. Opening Timings: Open at all times. Samanar Hills is situated 10 km away from the famous Meenakshi Amman Temple. The caves found here were used by Samanar, the Jains. It is believed to belong to 1 AD. The Jain carvings found here are amazing and so are the sculptures. 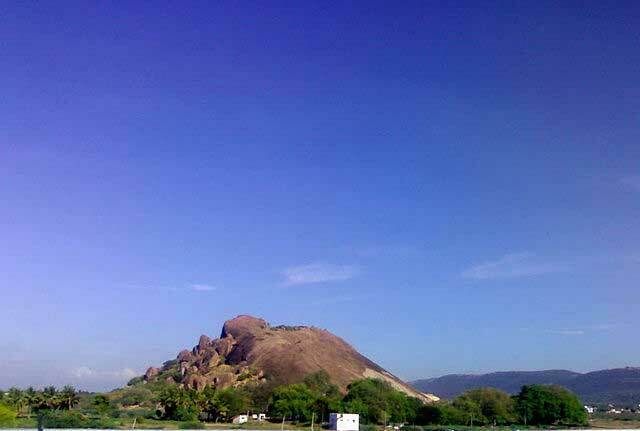 The hilltop offers splendid view of Madurai. A natural fountain that is ancient is found here and it is called Pechchi Pallam. It is a great place to spend considerable time in solitude. Famous for: Hinduism, Temples, Vishnu. Opening Timings: Open daily from 5AM – 12:30 PM & 4PM – 10PM. Koodal Azhagar temple is considered one of the ancient temples in South India. It is dedicated to god Vishnu. It is situated 2 km away from the city’s west. Madurai has a rich past and its contributions to language, art and culture are very famous. Koodal Azhagar temple is one such proof of the architectural excellence of the ancient period. The architecture, the sculptures and the paintings are beyond description. Opening Timings: Open all days from 5:30 AM – 1PM & 4PM – 9PM. 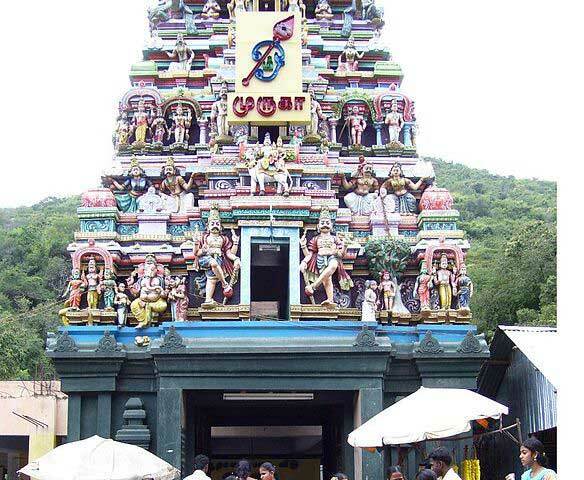 This is yet another famous temple dedicated to Lord Murugan and it is located on hill top. It is considered as one amongst the six abodes of god Murugan. The sculptures carved of marble and wood are unique. The giant steps in front of the temple make for a great climb. 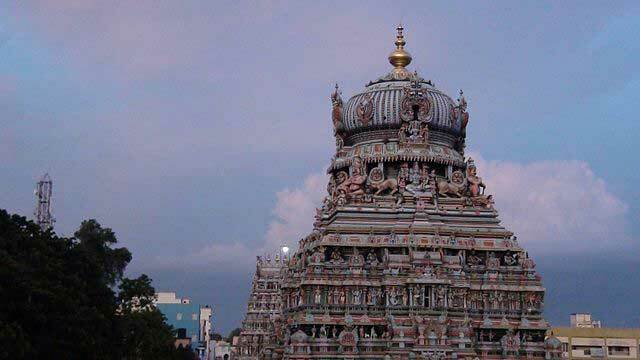 It is one of the most beautiful temples in South India. One of the most iconic buildings in Madurai, Thirumalai Nayakkar Mahal is known for its majestic Indo-Dravidian architecture and beautiful interiors. The first king of the Nayak dynasty built this palace in the 16th century and it is also speculated that he hired an Italian architect to build this monument. Many things set this palace apart from other palaces in India, the unique architecture and the giant pillars being some of them. Take a tour of the whole palace. Visit Meenakshi Amman Temple nearby. This city of Tamilnadu is a vibrant city and there are a lot of tourist places in Madurai. This city is connected with re-establishing the glory of the language Tamil and hence it is considered an important place by the people of Tamilnadu. Some of Madurai’s dishes are famous all over the world. You can have a great time enjoying the cultural heritage of the city and treat your taste buds with specialties of Madurai.